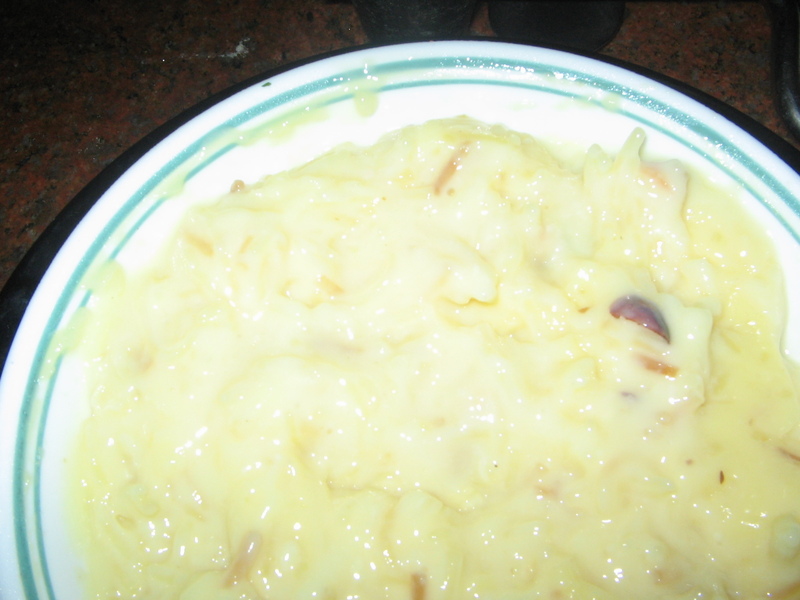 as there is a variation from general semya payasam. 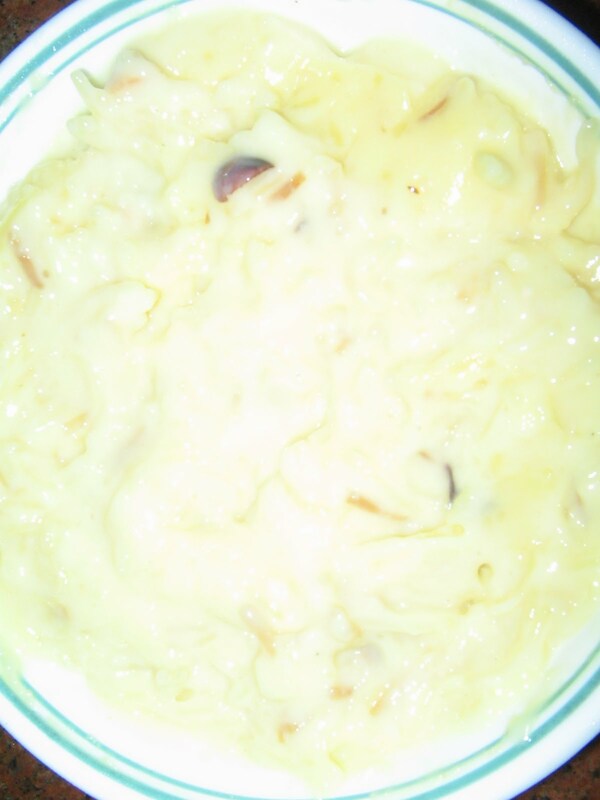 Include cashew,raisins,badam 3 to 4 nos. add semya (crushed) and fry it in low flame till it turns a bit brown.Keep it aside.Now place another bowl on the stove and add 4 cups of milk,after it is boiled add shallow fried semya and cook in low flame,now add sugar and cook it for 5 to 10 mins in low flame.Lastly add elaichi powder and shallow fried nuts. Now mix both semya payasam and custard together well.Let it cool.Then freeze it for 2 hours.It turns to semi solid consistancy after it is freezed .Serve it cool.Children like the yummy taste ..
Wow..that is super innovative..never thought of combining the both!